In case you haven't heard, Mac has a recycling program called Back to Mac, where if you've used up 6 of their products you can empty them out and exchange them for a free lipstick. Now i'm not one that generally needs enabling when it comes to lipstick purchases, but after my mom dug up some of her super retro lipsticks, along with two that i had finished up (Hug Me and Mocha) i knew it was a back to mac opportunity waiting to happen. 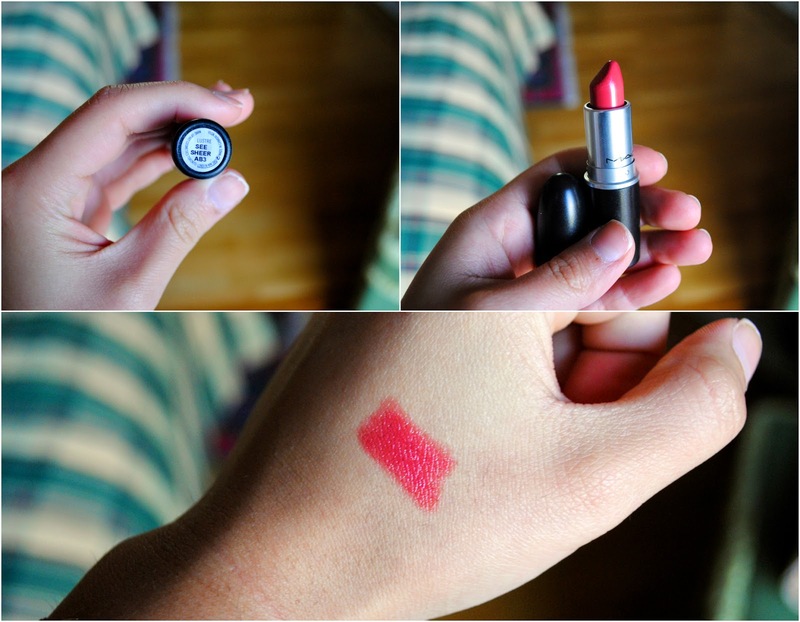 I have a couple of Mac lipsticks on my list to try out, but i ended up going with See Sheer. It's a beautiful coral shade that's both a bit pink and orange, but not too much of either. They only orange shades i have in my stash are SUPER orange, so this is a nice alternative if i'm feeling like rocking that color but not a bold lip. It's in the Lustre formula, which means it's not super opaque, but adds a nice wash of color and is quite moisturizing. Next on my list to try are Brick-O-La and Syrup. Let me know what some of your favorite Mac lipsticks are and if i should add any to my list.